Your chakras are the seven spinning energy-centers of the human body that control every dimension of your physical, mental, and spiritual well-being. Chakra imbalances occur when they are either overactive, underactive, or improperly counterbalancing each other. In this session, Anodea Judith, one of the country's foremost experts on the theraputic use of the chakra system, provides a guided practice that you can use daily to balance and fine-tune your energy centers for health and spiritual awakening. In the evening before we enter the realm of sleep, we can assure ourselves of the most rejuvenating and peaceful rest by spending a few minutes by tuning into our chakras, the body's seven energy-centers. 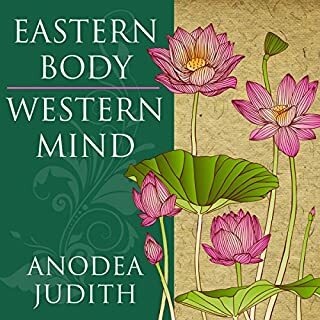 Anodea Judith makes it easy with this nightly guided session for calming and harmonizing your entire subtle-energy matrix. WARNING: THIS IS NOT AN AUDIOBOOK! As portals between the physical and spiritual planes, the chakras offer unparalleled opportunities for growth, healing, and transformation. 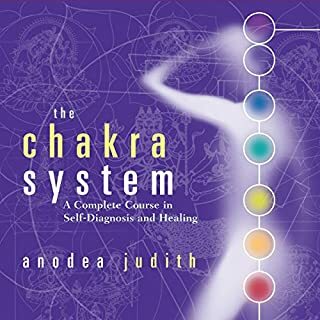 Anodea Judith's classic introduction to the chakra system, which has sold over 200,000 copies, has been completely updated and expanded. 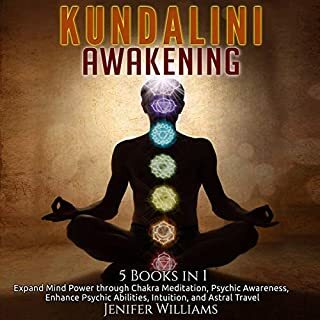 It includes revised chapters on relationships, evolution, and healing, and a new section on raising children with healthy chakras. Book was used for a class. Great info that I was able to use in my work and personal life. so much info and great for a beginning!! this was a very interesting book with a lot of great information fully explaining things I've only heard on passing. I really enjoyed the detail and descriptiveness of the chakras and their subtle effect on our lives. I'm halfway thru the book but the narrator makes the book seem boring and dull. 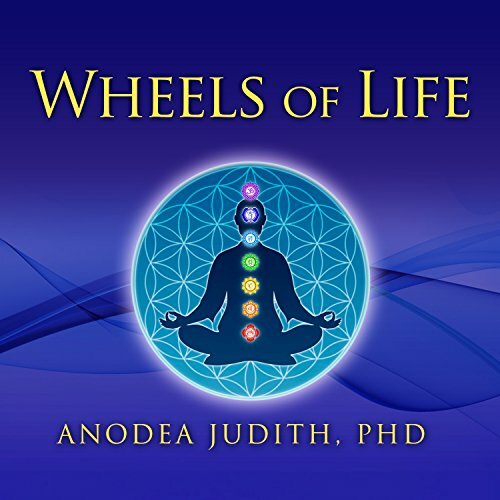 Where does Wheels of Life rank among all the audiobooks you’ve listened to so far? I go back again and again to this book. It is a reference and a guide. 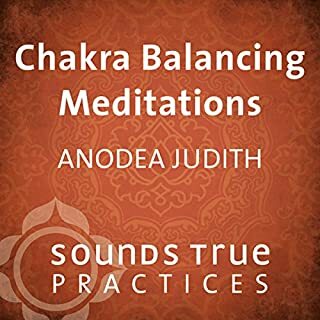 The depth of Anodea Judith's knowledge on The Chakra System and her passion for the topic brings me something new every time I listen. Great introduction to Chakra with ideas about how to foster personal growth and that of others. I learned so much. Transforming! I highly recommend this book! 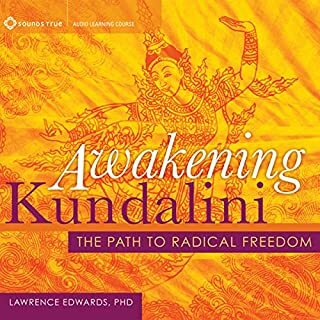 Listening to this book was like taking a Chakra workshop. Would you recommend Wheels of Life to your friends? Why or why not? great introduction to the Chakra system. Helped with my understanding of how the chakra system works will continue content from author. I bought the audio book to listen to while driving. After the first 2 hours of listening, I loved it so much that I bought a paperback copy as well for annotations. It is a great feature having the reference images along with the text. Anodea Judith has composed a beautifully written user's manual that houses complicated yet easily understandable information. 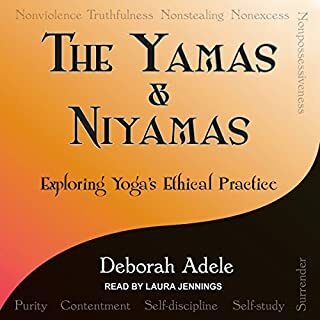 I sometimes have a hard time with the narration of audiobooks, but I think Randye Kaye does an excellent job keeping the delivery of the context both interesting and fun. I am not even close to halfway done with this read, but I have been thoroughly enjoying it from the start.